After three decades of releasing "Super Mario" video games, the notoriously protective Japanese gaming giant is inviting players to create their own levels in the bouncy plumber's homeland with the user-generated Wii U title "Super Mario Maker," out Friday. 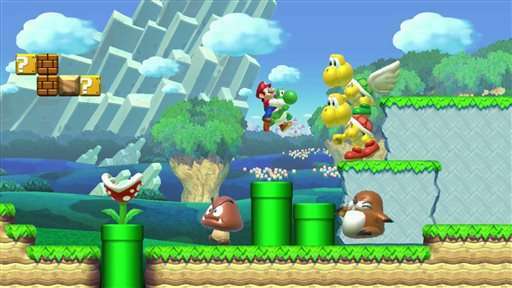 "I thought after 30 years, it would be perfect to reward creative players with the ability to build their own levels and be able to engage in the type of communication where a player and a creator can share the results," said "Super Mario" creator Shigeru Miyamoto during an interview translated by Nintendo of America product marketing manager Bill Trinen. 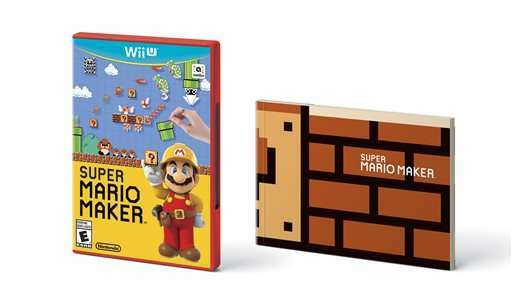 Similar to "LittleBigPlanet," ''Minecraft" and "Disney Infinity," ''Mario Maker" serves as a robust construction kit allowing players to virtually place such items as bashable bricks, floating coins, and deadly Koopas in the style of past games in the franchise: "Super Mario Bros.," ''Super Mario Bros. 3," ''Super Mario World" and "New Super Mario Bros." The levels can then be uploaded and played by others online. Technologically, it's a huge leap from the original "Super Mario" game released in 1985. "We were only able to have five Koopas on screen at one time," said Miyamoto. "As the technology has evolved, we've gone on to having more enemies, 3-D technology and analog sticks. I've been fortunate that at every phase of new technology, we've been able to introduce a new 'Mario' game that leverages it without having to think too deeply about a new story. It's kept 'Mario' fresh and exciting for people throughout the 30 years of the series." Miyamoto said the developers focused on creating a game that would make building a "Mario" adventure a comprehensive but accessible experience. For instance, if players wish to share creations online, they must first be able to play through their level themselves—no matter how many Bowsers or Bullet Bills stand in the way. "Mario Marker" marks a decidedly progressive approach for the Kyoto, Japan-based company that's been strongly particular about its intellectual properties. By giving up control of Mario to players, does that mean the princess-rescuing plumber will finally go into retirement? "I think this might actually be motivation for us," said Nintendo senior producer Katsuya Eguchi. "Those of us in the industry will be like, 'Really? You're going to throw that down?' We'll be jealous, and then we'll show them how to really do it." For the creator of "Super Mario," the character's evolution from 8-bit protagonist to gaming icon over the past 30 years is exactly as he intended. "I really wanted him to make my Mickey Mouse," said Miyamoto. "I wanted to use him in all the different games I made. My hope was that 10 or 20 years down the road, he would be the iconic character of video games. I feel tremendously fortunate that's what came to pass."